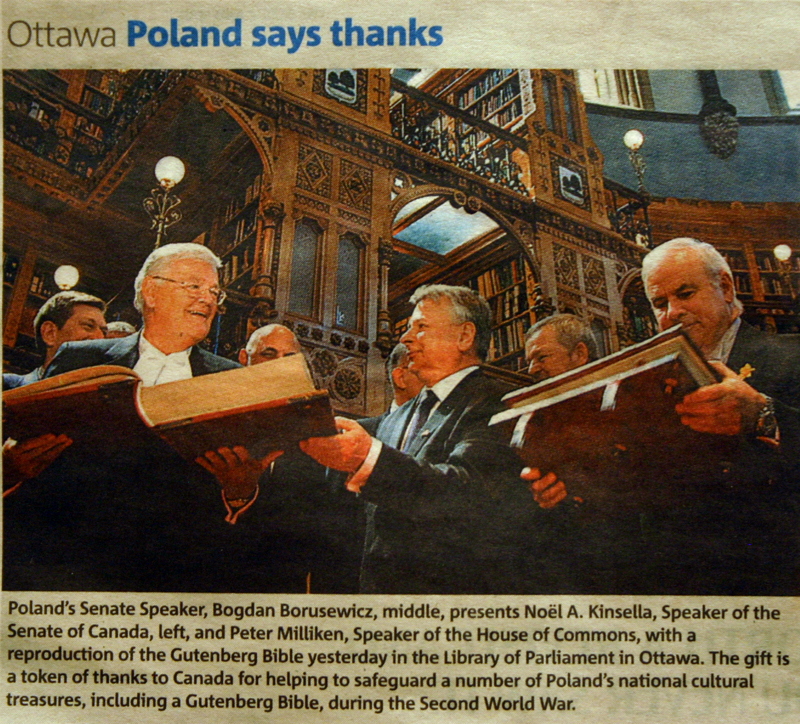 A few days ago while flipping through Metro News on your way to work you might have caught a glimpse of a photo depicting Polish Senate Speaker Bogdan Borusewicz. Hmmm, very interesting – cultural treasures? Nazis? It all sounds a bit like an Indiana Jones movie. And it’s all a mystery to most of us. So, what is the story exactly? Between 1452 and 1455, Gutenberg printed an esstimated 180 copies of the Bible, of which 48 are still in existence. Each of the originals is estimated to be worth over $100 million. Desperate to save their nation’s treasure, Wawel employees transported the precious cargo on barges, wagons, buses and trucks to Romania. From there, they tried to move it to Britain via France but while en route to the British town of Falmouth the ship came under fire from Germany’s Luftwaffe. Certain that doom was near, the treasure keepers decided to remove the coronation sword from its chest and sandwich it between two wooden planks – so that in the event of a catastrophe and the ship was sunk, at least the sword would be salvaged. The plan worked. In fact, the treasures escaped the Luftwaffe not once but twice. Later, at the height of the Battle of Britain when the German Air Force was relentlessly bombarding the country, the treasures were slipped out and shipped to the Polish Embassy in Canada aboard the Polish ocean liner MS Batory. The treasures rested there for more than 20 years. 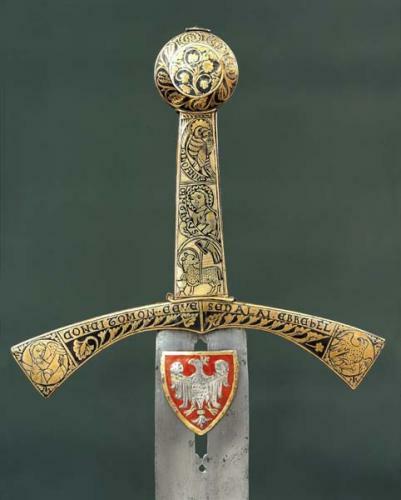 Today the Coronation Sword as well as the other national treasures rest at the Wawel Royal Castle in Krakow. 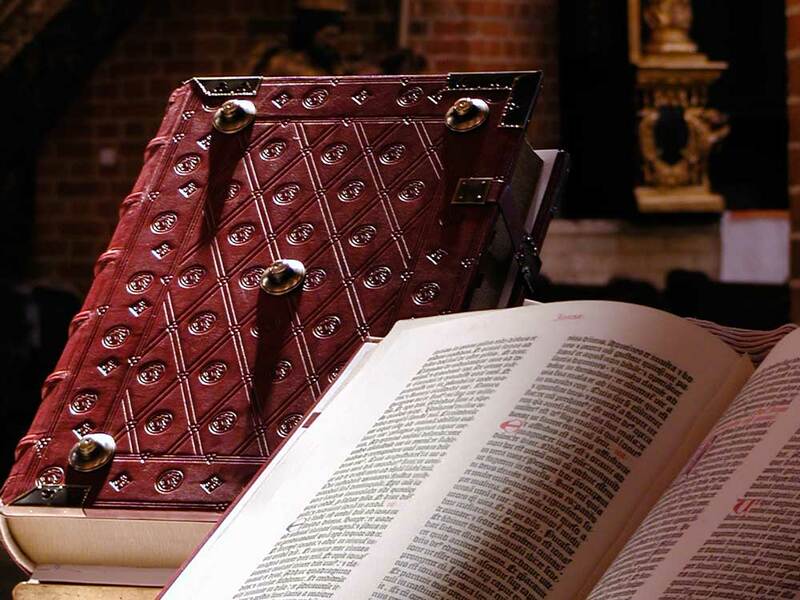 The Pelplin Bible resides in the Diocese of Pelplin in Poland. It’s kind of a cool piece of Polish/Canadian history. If you want to know more about it you can pick up the book The Strange Odyssey of Poland’s National Treasures, 1939-1961 by Gordon Swoger. You can buy it for the price of a coffee, really! Indigo is selling it at a 92 percent discount for only two dollars. Think that’s a great deal? Well, how about reading it for free here. 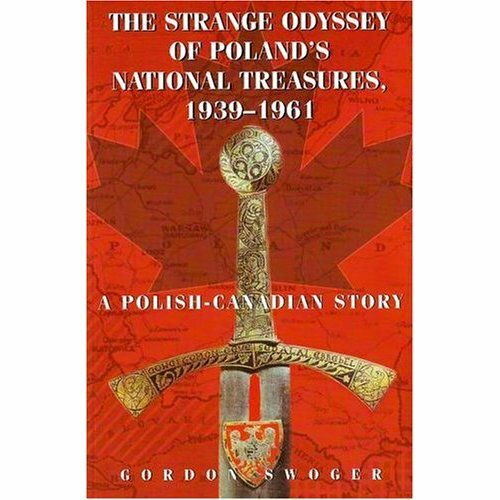 The Strange Odyssey of Poland”s National Treasures, 1939-1961 tells the story of the Polish national treasures -their evacuation from their homeland under perilous conditions after the German invasion of Poland in September 1939 and their subsequent removal to western Europe and then to Canada. At the end of the war two Polish governments, a Communist one in Warsaw and a non-Communist one in London, vied for control of the national treasures. Before long the hierarchy of the Roman Catholic Church, the RCMP, and the Canadian and Quebec governments all became involved in the desperate hide-and-seek confrontation between the two Polish governments. Eventually, in February 1961, the release of the historic treasures was negotiated and they were returned to their native land, twenty-two years after their wartime departure. It was indeed a long voyage home! Let us know if you need anything more specific. 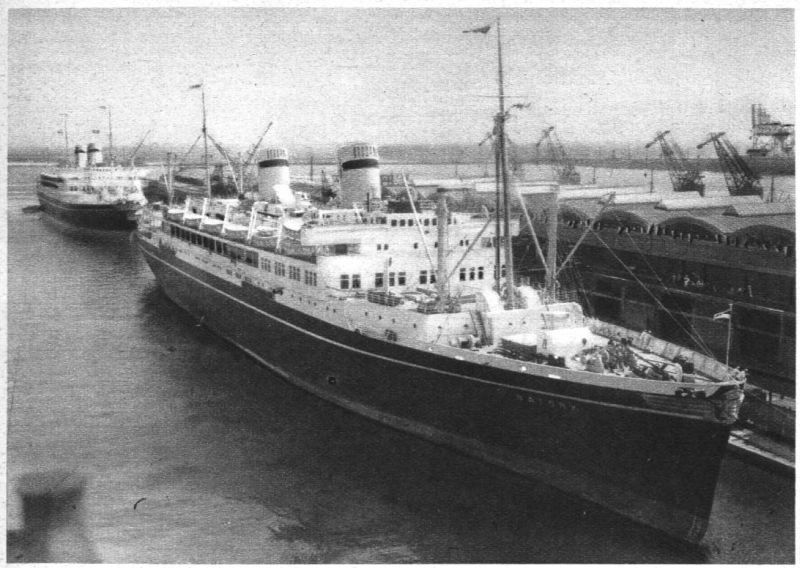 I travelled from gdynia to montreal w. Stops at kobenhavn and southampton just a month before Kristian i.e arriving about July 1, 1964. No photos! But I cannot recall WHY it was forbidden to dock at US and HAD TO go to Montreal, Canada. Why? I knew but I forgot. My Father- now age 90 – was a passenger on the Batory when it trasnported the Polish Treasury to Canada. His Father was working in Belfast for the Canadian Government in Immigration. When the War started they were sent back to Canada on the Batory. He speaks about how well it was very guarded. I believe I was on the same voyage from Copenhagen to Montreal July 11 arriving in Montreal on July 30 1964. Were you able to obtain copy of the passenger list, if so I would love to see it.